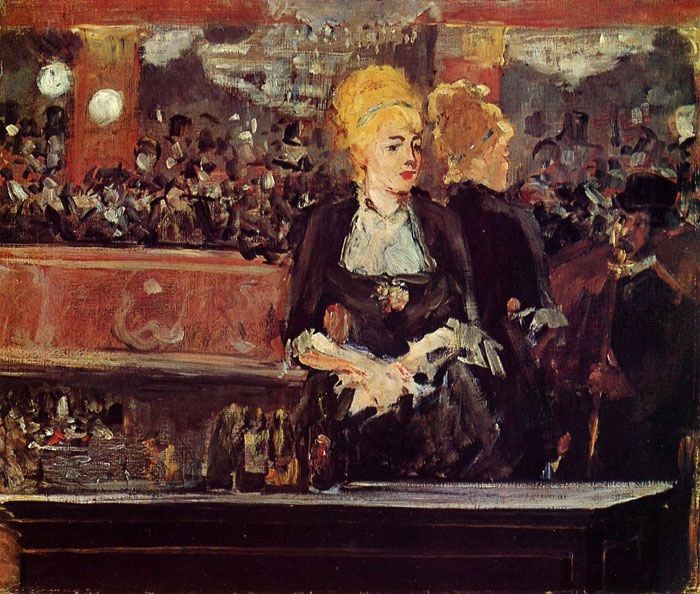 An unexpected visit to the Courtauld Gallery on the Strand in London on Saturday meant I could take the opportunity to look at Manet’s painting of The Bar at the Folies Bergère. The Folies Bergère was the first music hall in Paris, seen as decadent and exciting. 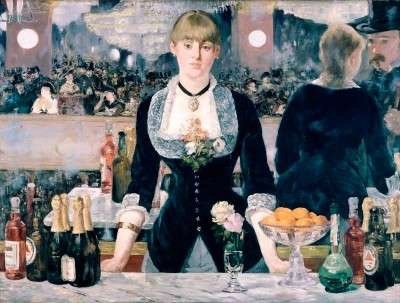 The woman behind the bar in the painting was a waitress called Suzon and Manet mocked up a bar in his studio for her to stand behind while he painted. Critics argue about whether or not the scene is reflected in a mirror as the barmaid’s reflection is not true. I was intrigued by the legs of a trapeze artist in the top left corner and by the rather sinister looking man on the right. You can almost hear the noise and excitement of the crowd but the barmaid seems detached and in her own world. 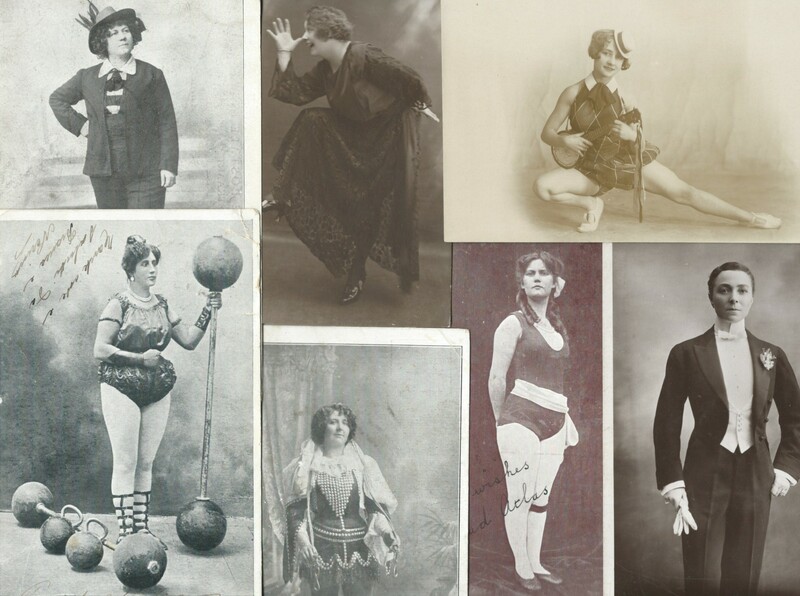 There is a preliminary work using a different model who also worked at the Folies Bergère. This entry was posted in Music Hall in art and tagged Bar at the Folies Bergère, Manet on February 16, 2015 by Monomania.